Garden Days at Tower Hill is part of a national event to celebrate gardens and gardening and to bring garden lovers across Ontario together. 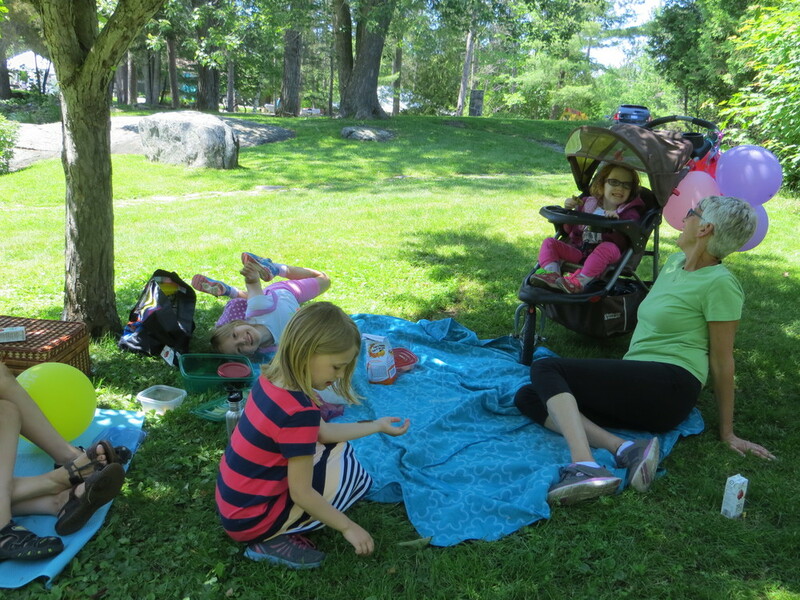 Our Garden Days event, hosted by the Parry Sound and District Horticultural Society, Tower Hill Gardeners and Museum on Tower Hill was an overwhelming success. The weather was perfect and the Garden looked wonderful. The night before the event, it was green and serene in the Garden. While they waited patiently for the opportunity to view the Flower Show . The workshops were well attended. or on a blanket under a tree near the pond. In the blink of an eye, the day was over. Another flurry of activity and we were all packed up. And just as we were ready to leave … more people started to arrive. It was a wedding party coming to have their photos taken. A picture perfect way to end a picture perfect day! The next morning, the tent was taken down and all that was left was the memory of a successful event and the hint of the truck that took it away!